OPPO, the Chinese smartphone giant known for its selfie-centric smartphones. It has come up with yet another Selfie Expert handset, F3 Plus. The new selfie expert smartphone from OPPO is a much-awaited handset. 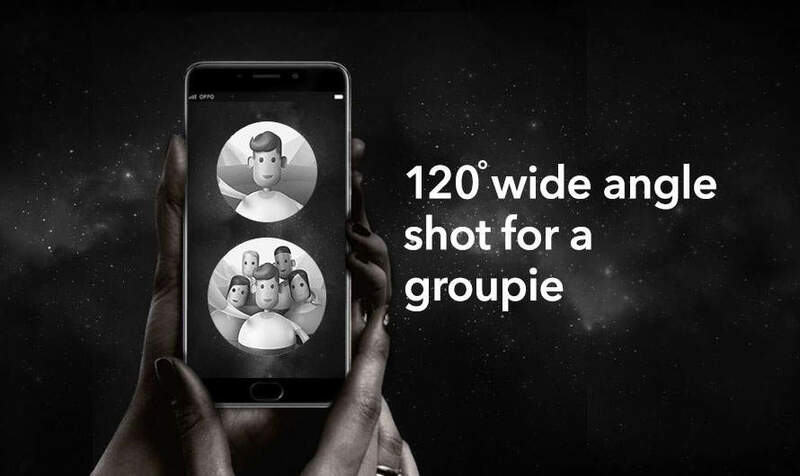 The brand has touted it as a successor to its selfie expert series of smartphones. Not just a good front-facing camera setup, but it also offers a Qualcomm chipset, fast charging, and acclaimed performance. Dual Front-facing Sensors, VOOC fast charging, High amount of RAM and Storage, Quick Fingerprint Sensor. Non-removable battery pack, UI not based on latest Android version. OPPO F3 Plus smartphone packs Qualcomm’s Snapdragon 653 (MSM8976 Pro). It is an Octa-core processor with four Cortex-A72 cores clocking at 1.95 GHz, while four Cortex-A53 cores clocking at 1.44 GHz. There is an advanced graphics processing unit on this handset, Adreno 510. The processor is backed by a 4GB of RAM and 64 GB of internal storage, which is a standard configuration for a high-end smartphone. The OPPO F3 Plus smartphone is in the news for being a Selfie Expert handset. The reason is simple, it offers impressive front-facing camera setup. There is a dual-sensors working on the front to give great selfie-taking experience. The dual-camera setup on the front has 16MP + 8MP resolution sensors working to give the best output. Talking about the rear camera configuration, it has a 16MP resolution sensor with f/1.7 aperture. With this aperture number, the rear camera is expected to capture bright shots even in low light. The new OPPO handset would be coming with a non-removable 4000 mAh capacity battery. The battery pack supports VOOC Flash Charge, which is company’s proprietary fast charging technology. OPPO has considered the three main design principles: light, thin and comfortable while designing their new Selfie Expert. The handset offers a premium finish and has non-slippery metal surface. It is an all-metal body smartphone with a large 6-inch Full HD display. The 1920 x 1080 pixel resolution produces pixel density at 367 ppi. For the protection of the screen from scratches, it has a Corning Gorilla Glass 5. The company calls it one-hand friendly device, but at 6-inch, for most, it isn’t a comfortable size to use one-handedly. The device packs 64GB storage as standard. There is no lower or higher storage variant of the handset. Do make a note that storage can be expanded up to 128GB via microSD card slot. Why should you buy OPPO F3 Plus? The OPPO F3 Plus comes with a premium look and feel. It is a perfect handset for people looking to consume as many selfies one can take in a day. On top of impressive dual-front facing cameras, it has an incredibly powerful rear camera. It may not sport high-end chipset, but the SoC equipped on this handset is quite powerful to carry out multitasking. With 4GB RAM and 64GB internal storage support, users don’t have to worry about performance. Oppo F3 Plus 4GB RAM full specs and reviews as of Apr 2019. Buy it here!